I want to thank everyone for sharing their vintage treasures at last week's first official Vintage Inspiration Party. 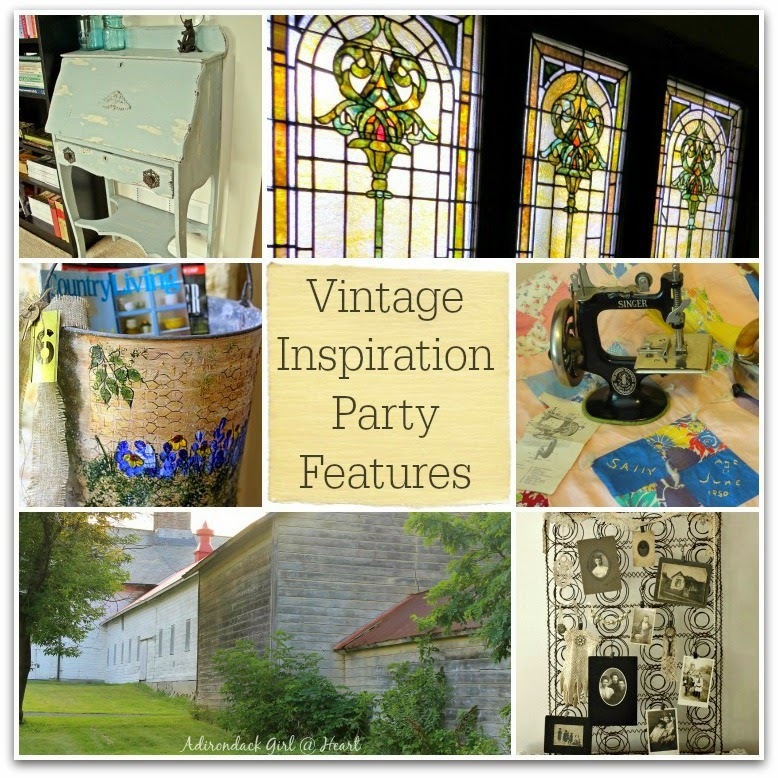 When you link up with Vintage Inspiration Party you get triple the exposure because your link will also be seen at Knick of Time Interiors and My Salvaged Treasures. It was really difficult for me to choose the features from last week because there were so many creative and inspirational links. Here's a small sample of what caught Betsy's eye (we take turns picking features). Laura from Paint Scribbles shared a tutorial on how she transformed this antique secretary. The color is so yummy! 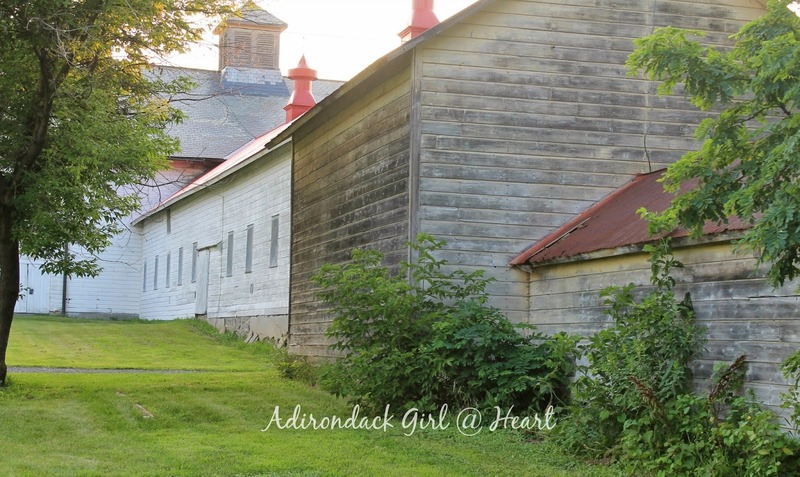 Diane from Adirondack Girl @ Heart took us on a tour of the Shaker Heritage Society. This post is full of interesting history. 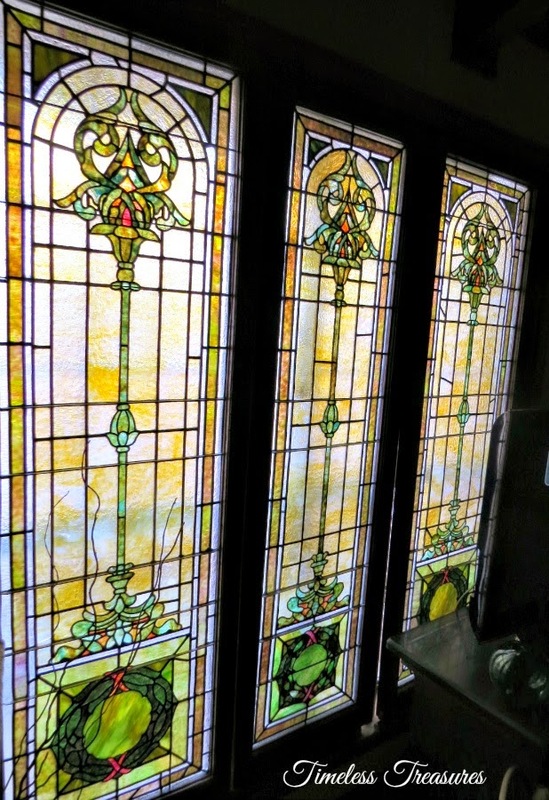 Audrey from Timeless Treasures shared these three gorgeous stained glass windows that are hung in front of a large window in her home. Stunning! 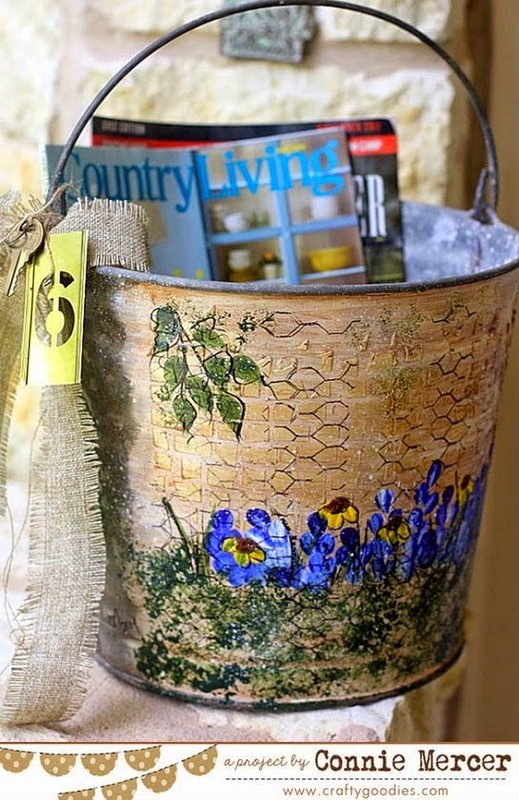 Connie from Crafty Goodies tells us how she prettied up a plain old galvanized bucket. I love the embellishments. How clever is this? 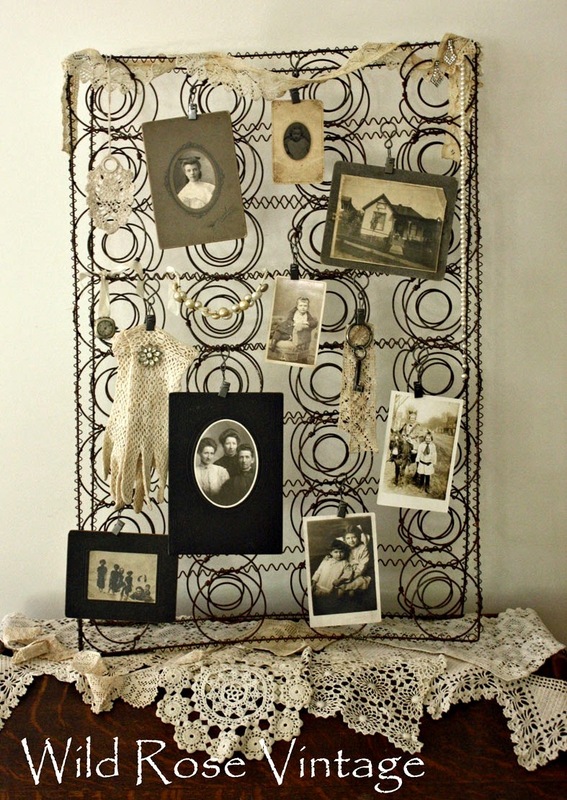 Faye from Wild Rose Vintage used an old box spring to display photos and other vintage treasures. Sally from Salmagundi shared some of her vintage sewing collectibles including this sweet toy Singer sewing machine that was given to her years ago. We can't wait to see your vintage inspired links!! - You are welcome to share anything vintage or vintage inspired. 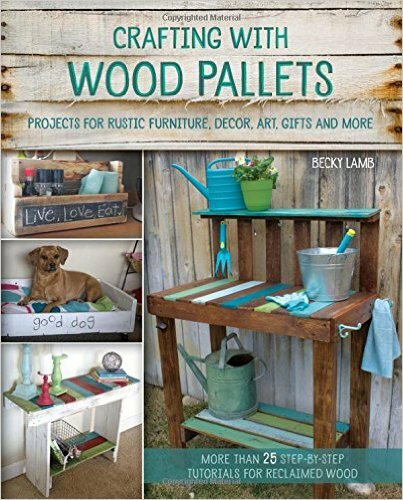 This includes yard sale finds, repurposed and upcycled creations, family heirlooms, and even vintage or vintage inspired items you have for sale. If it's been around awhile or just looks that way...share away!! No food links please. - Be sure to have a visible link to Beyond The Picket Fence(text link is fine) within your post. Oh my gracious the features are fantastic this week. Have a sensational week, and thanks for hosting such a phenomenal party. Oh I love, love that cute little vintage sewing Singer machine! Thanks for hosting. Thank you for hosting, my best offering was posted a while back I hope that is OK. 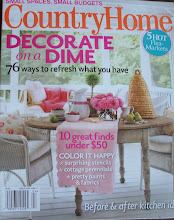 Thank you so much for featuring my cushion spring! Thanks for the great party too! 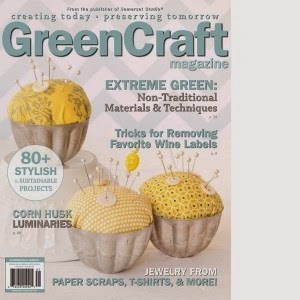 It keeps me thinking of how I can repurpose all the fun junk I find!